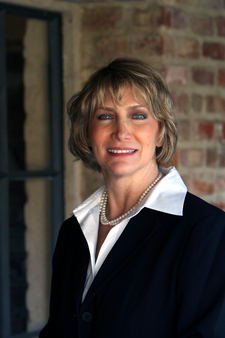 For decades, Lori Young has been, and continues to be, a respected name in real estate. Lori is dedicated, passionate, and a market-savvy professional who puts her clients' satisfaction before all else. Her tireless attention to detail, commitment to excellence, compassionate people skills, and her pure determination is why her loyal clientele consistently make her a top producing agent. Her reputation is built on her ability to stay conversant in Contra Costa and Northern Alameda County's real estate markets, specializing in Rossmoor, the premier active adult resort community. Her business is framed by a sound marketing plan and the use of cutting-edge technology which is driven by her invaluable knowledge of the real estate markets that feed into Rossmoor. She is able to design her business, caring for all of her clients needs, whether it is selling their home, finding them the perfect new home or representing both of the transactions insuring the process is easy, effortlessly and enjoyable. Lori monitors all the details, with her clients knowing that the focus is on them and their needs. Lori's success has earned her the prestigious Presidents Circle Awards and Leading Edge Society status, Invitation to the Top Agent Network, along with entrance into the Diamond Club, ranking in the top 5 percent of all agents nationwide. What sets Lori apart is her consonant expertise, integrity and passion for personal service. However, her biggest tribute is the growing number of clients and fellow agents who refer their friends, family and valued business contacts to her each year. In addition, Lori stays active with many community and charitable organizations; Circle of Care, Habitat for Humanity, Caring Hands of John Muir Hospital, St. Vincent De Paul Free Dinning Room and the Contra Costa Food Bank. After family & health, real estate holdings are often her client's most valuable asset. Lori knows that every transaction represents the most important purchase or sale a person can make, and she takes every precaution to ensure that communication is impeccable with all parties involved from beginning to end. Whether its patiently guiding buyers through this exciting process or following through with clients needs long after the transaction is over, Lori's warm, caring yet efficient business style will turn you, too, into a client for life. "It was wonderful to have someone represent our interests with such a passio..."
"Lori is a dynamic lady. Her marketing plan was impressive; it earned my fu..."
"Lori's professionalism exceeded our already high expectation. We were not ..."